More precious and valuable than gold, saffron spice is derived from a type of crocus flower native to the Greek island of Crete. With 75,000 flowers needed to produce just one pound of saffron, this flavorful and unique spice is the very essence of refined delicacy. Our very own Saffron restaurant, which first opened at Banyan Tree Phuket in 1995, brings the same quality and dedication to its delightful selection of gourmet Thai cuisine. First imagined as a simple curry house, Saffron has since leaped beyond its origins to become the award-winning dining experience that it is today, and the signature Thai restaurant of Banyan Tree Hotels & Resorts. Richly authentic flavors and innovative presentation have led to continued success, with the Saffron concept bringing inspired cuisine to diners around the world. Saffron’s 10 quality restaurants can now be found in 7 countries – from Asia all the way to Africa and the Americas – in settings as beautifully varied and exotic as the dishes on offer. Every Saffron restaurant presents the indigenous tastes of Thai cuisine at its best, with graceful service in a contemporary yet classically elegant Banyan Tree setting. Just like the spice itself, the spirit of Saffron restaurants is in the care and dedication that go into every dish. Through years of growth and refinement, our focus remains the same: to select the very best ingredients and prepare sensational Thai cuisine, one dish at a time. An appreciation of indigenous ingredients and authentic cooking techniques. 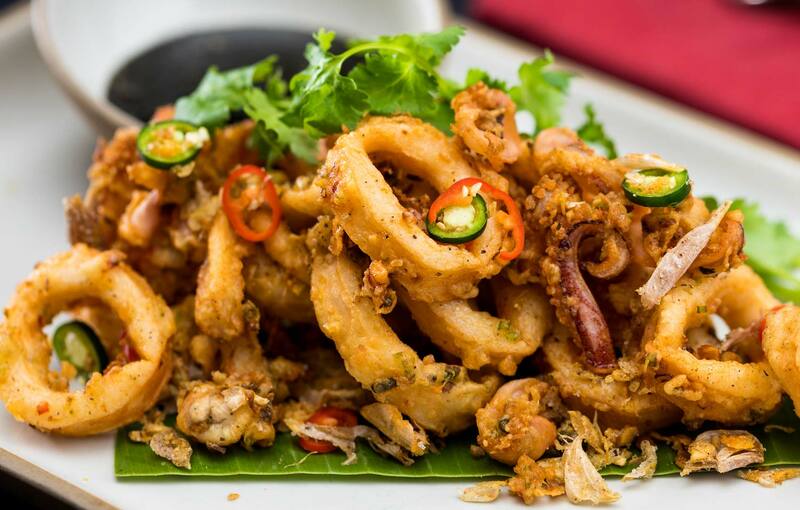 We continue to find new and exciting ideas in the rich history of authentic Thai cuisine, with its own diverse Khmer, Indian and Chinese influences passed down through the generations. There is wonderful artistry in Thailand’s traditional cooking methods, which we at Saffron preserve and then transform into an elegant, contemporary experience. Saffron’s friendly approach to service is also inspired by the celebrated traditions of Thai hospitality, where the comfort and pleasure of guests is of the highest importance. 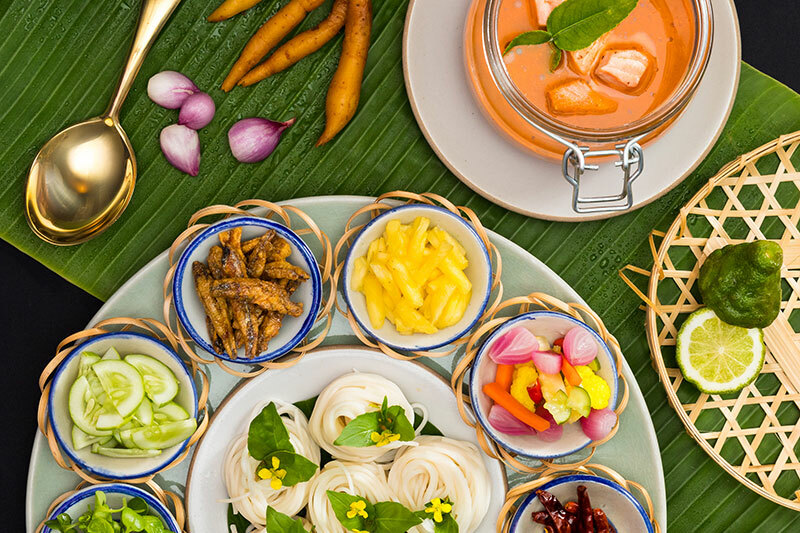 Our dishes are prepared in a contemporary and artistic fashion, using indigenous ingredients and authentic cooking techniques to bring the very best of Thai cuisine to each and every guest. 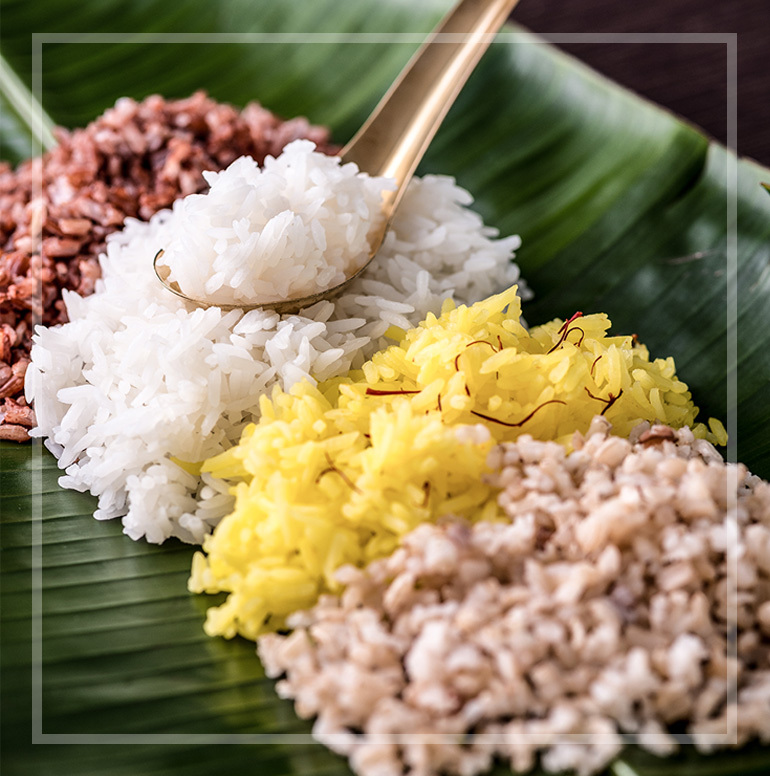 The dining experience at Saffron preserves the Thai values of connection and harmony, as we encourage guests to share their dishes family-style so as to best appreciate the complementary tastes of our selections. We don't make it until you order it - This is dummy texts. Saffron’s pursuit of culinary perfection begins with its consistent standards of quality, style and service at each of its restaurants around the globe. Through a careful hiring and training process, the restaurant continually maintains and enhances its identity as a refined dining destination with a distinctive personality. This experience is the product of our exceptional attention to detail, which ensures that every visit to Saffron is as magical and delightful as can be.